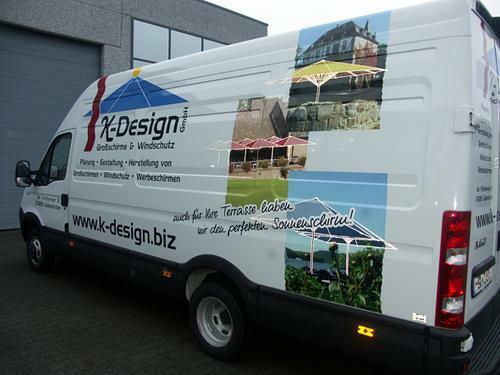 K-DESIGN GROSSSCHIRME & WINDSCHUTZ GMBH, Parasols, Advertising gadgets, Textile printing, on EUROPAGES. 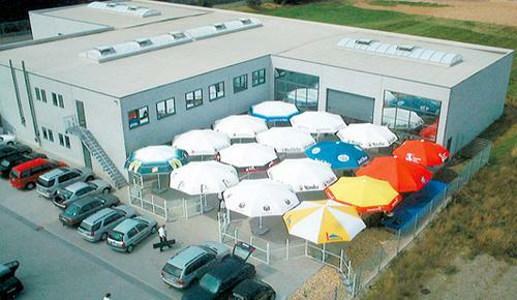 K-Design Großschirme & Windschutz GmbH – run and founded by Kerstin Khadri – now manufactures a variety of rectangular and triangular parasols/umbrellas alongside the usual round and square ones at its own plant in Geilenkirchen. Of course the new shapes and dimensions are up to our usual high K-Design quality standards. 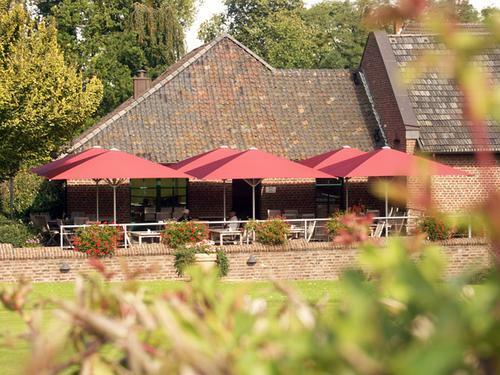 Thus there are now seven types of parasol/umbrella available in 76 different sizes and 12 standard colours. Furthermore, we offer accessories such as cordless LED lighting, loudspeakers, RGB LED lighting, rain gutters, infra-red heating units and much more. The covers have a level of UV protection of 80 and are water- and dirt-resistant – they can also be washed in the washing machine. Or simply turn to our K-Design winter service. K-Design has also adopted a new kind of fabric quality in its range: sunsilk outguard.